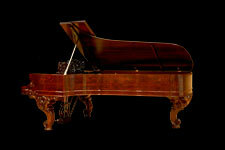 Absolute Piano Tuning & Restoration: Locally owned & operated by your friendly neighborhood piano tuner, Jude Reveley. Nationally recognized as one “…of the industry’s most successful and innovative rebuilders” [PTG Journal]. Using our recently upgraded state-of-the-art database program, our goal in maintaining your piano is to provide the best possible service by creating and tracking your service history, including critical data on pitch, humidity & temperature, so that we can follow-up with appropriate recommendations for the continuing care and service of your piano. This will include service appointment reminders, recommendations on humidity control, and a general improvement in communicating with you and responding to your piano’s needs.